A series of murders that took place in the East End of London from August to November 1888 were blamed on an unidentified assailant known as Jack the Ripper. 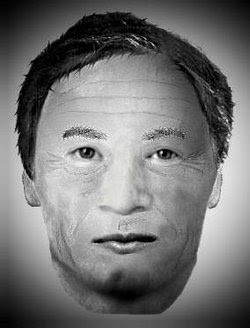 There has been much speculation over the years as to who he was, so with this post we're going to go over the suspects list. Montague John Druitt (15 August 1857 – early December 1888) was a Dorset-born barrister who worked to supplement his income as an assistant schoolmaster in Blackheath, London, until his dismissal shortly before his suicide by drowning in 1888. His decomposed body was found in the Thames near Chiswick on 31 December 1888. Some modern authors suggest that Druitt was homosexual, that he was dismissed because of this and that it may have driven him to suicide. However, his mother and his grandmother both suffered mental health problems and it is possible that he was dismissed because of an underlying hereditary psychiatric illness. His death shortly after the last canonical murder (which took place on 9 November 1888) led Assistant Chief Constable Sir Melville Macnaghten to name him as a suspect in a memorandum of 23 February 1894. However, Macnaghten incorrectly described the 31-year-old barrister as a 41-year-old doctor. On 1 September, the day after the first canonical murder, Druitt was in Dorset playing cricket, and most experts now believe that the killer was local to Whitechapel, whereas Druitt lived miles away on the other side of the Thames in Kent. Inspector Frederick Abberline appeared to dismiss Druitt as a serious suspect on the basis that the only evidence against him was the coincidental timing of his suicide shortly after a murder considered by some to be the final one in the series. Seweryn Antonowicz Kłosowski alias George Chapman - no relation to victim Annie Chapman (14 December 1865 – 7 April 1903) was born in Poland, but emigrated to the United Kingdom sometime between 1887 and 1888, shortly before the start of the murders. 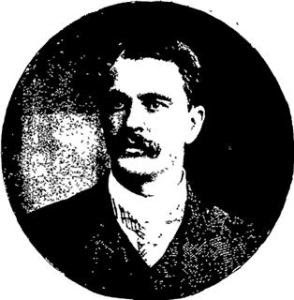 Between 1893 and 1894 he assumed the name of Chapman. He successively poisoned three of his wives, and was hanged for his crimes in 1903. At the time of the Ripper murders, he lived in Whitechapel, London, where he had been working as a barber. According to H. L. Adam, who wrote a book on the poisonings in 1930, Chapman was Inspector Frederick Abberline's favoured suspect and the Pall Mall Gazette reported that Abberline suspected Chapman after his conviction. However, others disagree that Chapman is a likely culprit, as he murdered his three wives with poison, and it is uncommon (though not unheard of) for a serial killer to make such a drastic change in their modus operandi. Aaron Kosminski (born Aron Mordke Kozminski; 11 September 1865 – 24 March 1919) was a Polish Jew who was admitted to Colney Hatch Lunatic Asylum in 1891. "Kosminski" (without a forename) was named as a suspect by Melville Macnaghten in his 1894 memorandum and by former Chief Inspector Donald Swanson in handwritten comments in the margin of his copy of Assistant Commissioner Sir Robert Anderson's memoirs. Anderson wrote that a Polish Jew had been identified as the Ripper but that no prosecution was possible because the witness was also Jewish and refused to testify against a fellow Jew. Some authors are skeptical of this, while others use it in their theories. In his memorandum, Macnaghten stated that no one was ever identified as the Ripper, which directly contradicts Anderson's recollection. Kosminski lived in Whitechapel; however, he was largely harmless in the asylum. His insanity took the form of auditory hallucinations, a paranoid fear of being fed by other people, and a refusal to wash or bathe. In his book, The Cases That Haunt Us, former FBI profiler John Douglas states that a paranoid individual such as Kosminski would likely have openly boasted of the murders while incarcerated had he been the killer, but there is no record that he ever did so. Michael Ostrog (c. 1833–in or after 1904) was a Russian-born professional con man. He used numerous aliases and disguises. Among his many dubious claims was that he had once been a surgeon in the Russian Navy. He was mentioned as a suspect by Macnaghten, who joined the case in 1889, the year after the "canonical five" victims were killed. Researchers have failed to find evidence that he had committed crimes any more serious than fraud and theft. Author Philip Sugden discovered prison records showing that Ostrog was jailed for petty offences in France during the Ripper murders. Ostrog was last mentioned alive in 1904; the date of his death is unknown. John Pizer or Piser (c. 1850–1897) was a Polish Jew who worked as a boot-maker in Whitechapel. 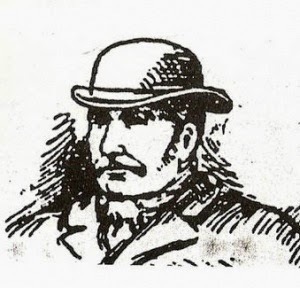 After the murders of Mary Ann Nichols and Annie Chapman in late August and early September 1888 respectively, Police Sergeant William Thicke arrested Pizer on 10 September 1888. Pizer was known as "Leather Apron", and Thicke apparently believed that he had committed a string of minor assaults on prostitutes. In the early days of the Whitechapel murders, many locals suspected that "Leather Apron" was the killer, even though the investigating inspector reported that "there is no evidence whatsoever against him". He was cleared of suspicion when it turned out that he had alibis for two of the murders. He was staying with relatives at the time of one of the canonical murders, and he was talking with a police officer while watching a spectacular fire on the London Docks at the time of another. Pizer and Thicke had known each other for years and Pizer implied that his arrest was based on animosity rather than evidence, though he did have a prior conviction for a stabbing offence. Pizer successfully obtained monetary compensation from at least one newspaper that had named him as the murderer (Thicke himself was accused of being the Ripper by H. T. Haslewood of Tottenham in a letter to the Home Office dated 10 September 1889. The presumably malicious accusation was dismissed as without foundation). Sadler was a friend of Frances Coles, the last victim added to the Whitechapel murders police file. 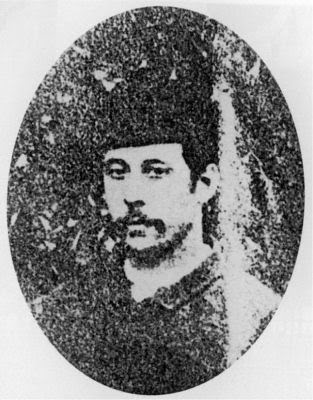 Coles was killed with a wound to the throat on 13 February 1891. Sadler was arrested, but there was little evidence against him. Though briefly considered by the police as a Ripper suspect, he was at sea at the time of the earlier murders, and was released without charge. Sadler was named in Macnaghten's 1894 memorandum in connection with Coles' murder. Though Macnaghten thought Sadler "was a man of ungovernable temper and entirely addicted to drink, and the company of the lowest prostitutes", he thought any connection with the Ripper was unlikely. Francis Tumblety (c. 1833–1903) earned a small fortune posing as an "Indian Herb" doctor throughout the United States and Canada and was commonly perceived as a misogynist and a quack. He was connected to the death of one of his patients, but escaped prosecution. In 1865, he was arrested for complicity in the assassination of Abraham Lincoln, but was released without charge. Tumblety was in England in 1888, and was arrested on 7 November, apparently for engaging in homosexuality, which was illegal at the time. Awaiting trial, he fled to France and then to the United States. Already notorious in the States for his self-promotion and previous criminal charges, his arrest was reported as connected to the Ripper murders. American reports that Scotland Yard tried to extradite him were not confirmed by the British press or the London police, and the New York City Police said, "there is no proof of his complicity in the Whitechapel murders, and the crime for which he is under bond in London is not extraditable". 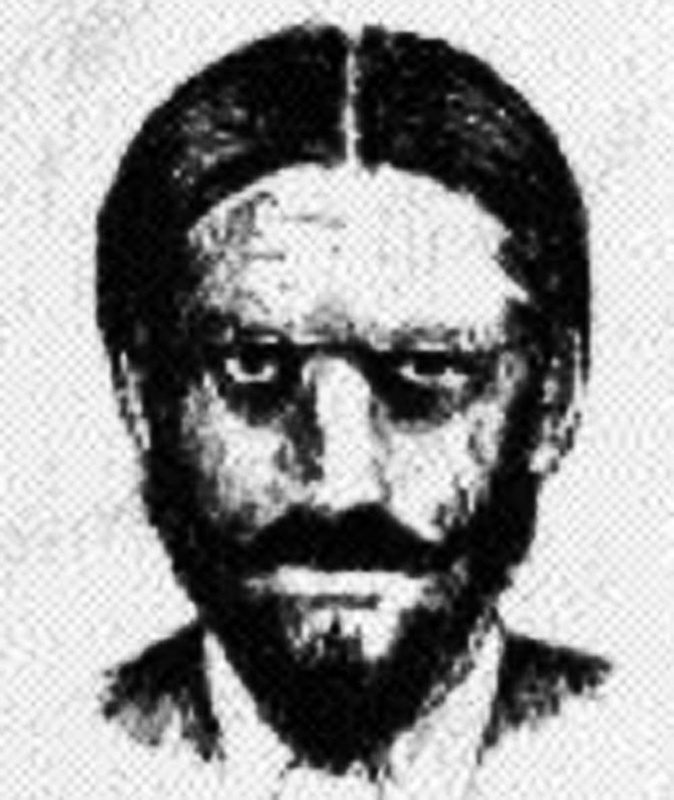 In 1913, Tumblety was mentioned as a Ripper suspect by Chief Inspector John Littlechild of the Metropolitan Police Service in a letter to journalist and author George R. Sims. William Henry Bury (25 May 1859 – 24 April 1889) had recently moved to Dundee from the East End of London, when he strangled his wife Ellen Elliott, a former prostitute, on 4 February 1889. He inflicted extensive wounds to her abdomen after she was dead and packed the body into a trunk. On 10 February, Bury went to the local police and told them his wife had committed suicide. He was arrested, tried, found guilty of her murder, and hanged in Dundee. 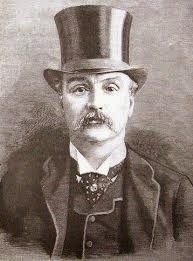 A link with the Ripper crimes was investigated by police, but Bury denied any connection, despite making a full confession to his wife's homicide. Nevertheless, the hangman, James Berry, promoted the idea that Bury was the Ripper. Dr Thomas Neill Cream (27 May 1850 – 15 November 1892) was a doctor secretly specialising in abortions. He was born in Glasgow, educated in London and Canada, and entered practice in Canada and later in Chicago, Illinois. In 1881 he was found guilty of the fatal poisoning of his mistress's husband. He was imprisoned in the Illinois State Penitentiary in Joliet, Illinois, from November 1881 until his release on good behaviour on 31 July 1891. He moved to London, where he resumed killing and was soon arrested. He was hanged on 15 November 1892 at Newgate Prison. According to some sources, his last words were reported as being "I am Jack the...", interpreted to mean Jack the Ripper. However, police officials who attended the execution made no mention of this alleged interrupted confession. As he was still imprisoned at the time of the Ripper murders, most authorities consider it impossible for him to be the culprit. 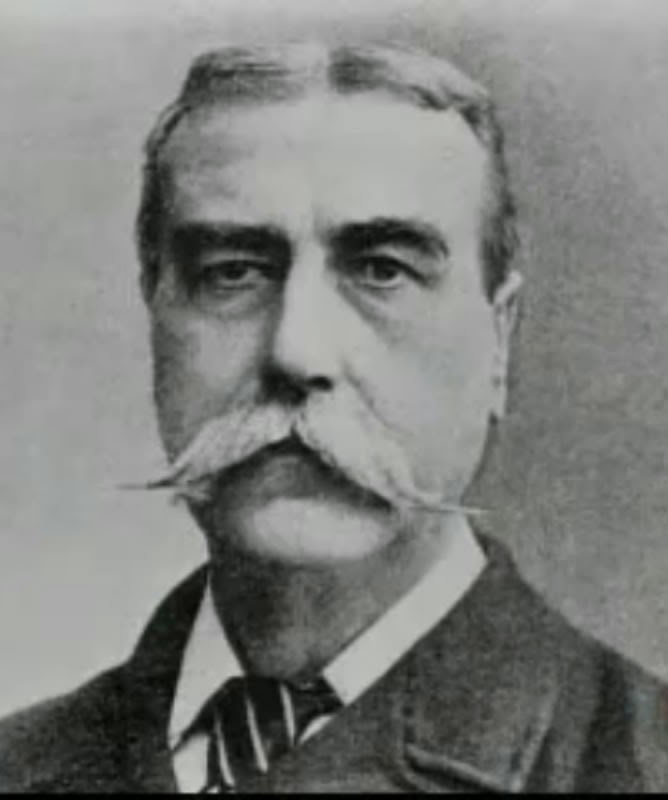 However, Donald Bell suggested that he could have bribed officials and left the prison before his official release, and Sir Edward Marshall-Hall suspected that his prison term may have been served by a look-alike in his place. Such notions are unlikely, and contradict evidence given by the Illinois authorities, newspapers of the time, Cream's solicitors, Cream's family and Cream himself. Thomas Hayne Cutbush (1865–1903) was sent to Lambeth Infirmary in 1891 suffering delusions thought to have been caused by syphilis. After stabbing a woman in the backside and attempting to stab a second he was pronounced insane and committed to Broadmoor Hospital in 1891, where he remained until his death in 1903. The Sun newspaper suggested in a series of articles in 1894 that Cutbush was the Ripper. There is no evidence that police took the idea seriously, and Melville Macnaghten's memorandum naming the three police suspects Druitt, Kosminski and Ostrog was written to refute the idea that Cutbush was the Ripper. Cutbush was the suspect advanced in the 1993 book Jack the Myth by A. P. Wolf, who suggested that Macnaghten wrote his memo to protect Cutbush's uncle who was a fellow police officer, and another recent writer, Peter Hodgson, considers that Cutbush is the most likely candidate. 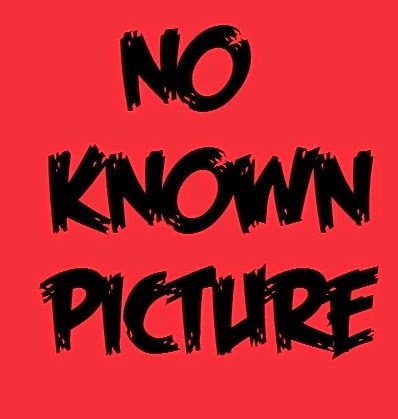 Frederick Bailey Deeming (30 July 1842 – 23 May 1892) murdered his first wife and four children in Rainhill near St. Helens, Lancashire, in 1891. His crimes went undiscovered and later that year he emigrated to Australia with his second wife, whom he then also murdered. Her body was found buried under their house, and the subsequent investigation led to the discovery of the other bodies in England. He was arrested, sent to trial, and found guilty. He boasted in jail that he was Jack the Ripper, but he was either imprisoned or in South Africa at the time of the Ripper murders. 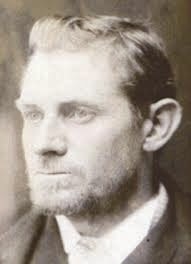 The police denied any connection between Deeming and the Ripper. He was hanged in Melbourne. Carl Ferdinand Feigenbaum (executed 27 April 1896) was a German merchant seaman arrested in 1894 in New York City for cutting the throat of Mrs Juliana Hoffmann. After his execution, his lawyer, William Sanford Lawton, claimed that Feigenbaum had admitted to having a hatred of women and a desire to kill and mutilate them. Lawton further stated that he believed Feigenbaum was Jack the Ripper. Though covered by the press at the time, the idea was not pursued for more than a century. 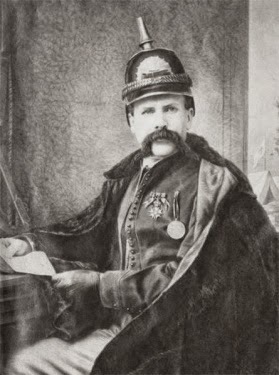 Using Lawton's accusation as a base, author Trevor Marriott, a former British murder squad detective, argued that Feigenbaum was responsible for the Ripper murders as well as other murders in the United States and Germany between 1891 and 1894. According to Wolf Vanderlinden, some of the murders listed by Marriott did not actually occur; the newspapers often embellished or created Ripper-like stories to sell copies. Lawton's accusations were disputed by a partner in his legal firm, Hugh O. Pentecost, and there is no proof that Feigenbaum was in Whitechapel at the time of the murders. Robert Donston Stephenson (alias Roslyn D'Onston Stephenson) (20 April 1841 – 9 October 1916) was a journalist and writer interested in the occult and black magic. He admitted himself as a patient at the London Hospital in Whitechapel shortly before the murders started, and left shortly after they ceased. He authored a newspaper article, which claimed that black magic was the motive for the killings and alleged that the Ripper was a Frenchman. Stephenson's strange manner and interest in the crimes resulted in an amateur detective reporting him to Scotland Yard on Christmas Eve, 1888. Two days later Stephenson reported his own suspect, a Dr Morgan Davies of the London Hospital. Subsequently he fell under the suspicion of newspaper editor William Thomas Stead. In his books on the case, author and historian Melvin Harris argued that Stephenson was a leading suspect, but the police do not appear to have treated either him or Dr Davies as serious suspects. London Hospital night-shift rosters and practices indicate that D'Onston was not able to leave on the nights of the murders and hence could not have been Jack the Ripper. Joseph Barnett (c. 1858–1927) was a former fish porter, and victim Mary Kelly's lover from 8 April 1887 to 30 October 1888, when they quarrelled and separated after he lost his job and she returned to prostitution to make a living. Inspector Abberline questioned him for four hours after Kelly's murder, and his clothes were examined for bloodstains, but he was then released without charge. 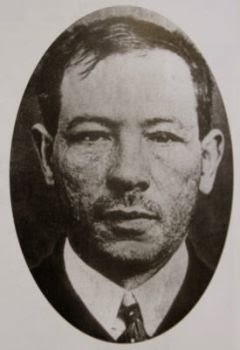 A century after the murders, author Bruce Paley proposed him as a suspect as Kelly's scorned or jealous lover, and suggested that he'd committed the other murders to scare Kelly off the streets and out of prostitution. Other authors suggest he killed Kelly only, and mutilated the body to make it look like a Ripper murder, but Abberline's investigation appears to have exonerated him. Other acquaintances of Kelly's put forward as her murderer include her landlord John McCarthy and her former boyfriend Joseph Fleming. 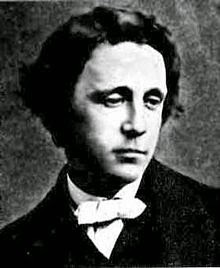 Lewis Carroll (pen name of Charles Lutwidge Dodgson) (27 January 1832 – 14 January 1898) was the author of Alice's Adventures in Wonderland and Through the Looking-Glass. He was named as a suspect based upon anagrams which author Richard Wallace devised for his book Jack the Ripper, Light-Hearted Friend. This claim is not taken seriously by scholars. David Cohen (1865–1889) was a Polish Jew whose incarceration at Colney Hatch Lunatic Asylum roughly coincided with the end of the murders. Described as violently antisocial, the poor East End local was suggested as a suspect by author and Ripperologist Martin Fido in his book The Crimes, Detection and Death of Jack the Ripper (1987). Fido claimed that the name "David Cohen" was used at the time to refer to a Jewish immigrant who either could not be positively identified or whose name was too difficult for police to spell, in the same fashion that "John Doe" is used in the United States today. Fido identified Cohen with "Leather Apron" (see John Pizer above), and speculated that Cohen's true identity was Nathan Kaminsky, a bootmaker living in Whitechapel who had been treated at one time for syphilis and who could not be traced after mid-1888—the same time that Cohen appeared. 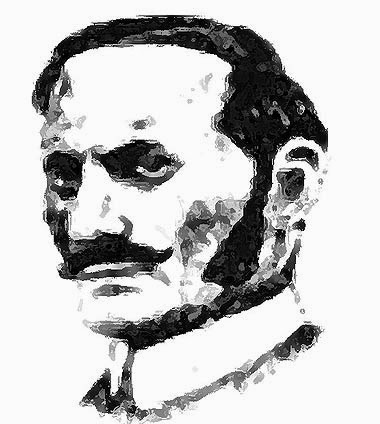 Fido believed that police officials confused the name Kaminsky with Kosminski, resulting in the wrong man coming under suspicion (see Aaron Kosminski above). Cohen exhibited violent, destructive tendencies while at the asylum, and had to be restrained. He died at the asylum in October 1889. In his book The Cases That Haunt Us, former FBI criminal profiler John Douglas has asserted that behavioural clues gathered from the murders all point to a person "known to the police as David Cohen ... or someone very much like him". Sir William Withey Gull (31 December 1816 – 29 January 1890) was physician-in-ordinary to Queen Victoria. He was named as the Ripper as part of the evolution of the widely discredited Masonic/royal conspiracy theory outlined in such books as Jack the Ripper: The Final Solution. Coachman John Netley has been named as his accomplice. Thanks to the popularity of this theory among fiction writers and for its dramatic nature, Gull shows up as the Ripper in a number of books and films (including the 1988 TV film Jack the Ripper starring Michael Caine; and the 2000 graphic novel, compiled from the comic book series that ran from 1991 to 1996, From Hell written by Alan Moore with art by Eddie Campbell, as well as its 2001 subsequent film adaptation). Conventional historians have never taken him seriously as a suspect due to sheer lack of evidence; in addition, he was in his seventies at the time of the murders and had recently suffered a stroke. George Hutchinson was a labourer. On 12 November 1888, he went to the London police to make a statement claiming that on 9 November 1888 he watched the room that Mary Jane Kelly lived in after he saw her with a man of conspicuous appearance. He gave a very detailed description of a suspect despite the darkness of that night. The accuracy of Hutchinson's statement was later disputed among the senior police of the time. Inspector Frederick Abberline, after interviewing Hutchinson, believed that Hutchinson's account was truthful. However, Robert Anderson, head of the CID, later claimed that the only witness who got a good look at the killer was Jewish. Hutchinson was not a Jew, and thus not that witness. Some modern scholars have suggested that Hutchinson was the Ripper himself, trying to confuse the police with a false description, but others suggest he may have just been an attention seeker who made up a story he hoped to sell to the press. 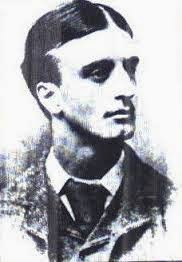 James Kelly (20 April 1860 – 17 September 1929) was first identified as a suspect in Terence Sharkey's "Jack the Ripper. 100 Years of Investigation" (Ward Lock 1987) and documented in Prisoner 1167: The madman who was Jack the Ripper, by Jim Tully, in 1997. James Kelly murdered his wife in 1883 by stabbing her in the neck. Deemed insane, he was committed to the Broadmoor Asylum, from which he later escaped in early 1888, using a key he fashioned himself. After the last of the five canonical Ripper murders in London in November 1888, the police searched for Kelly at what had been his residence prior his wife's murder, but they were not able to locate him. In 1927, almost forty years after his escape, he unexpectedly turned himself in to officials at the Broadmoor Asylum. He died two years later, presumably of natural causes. Retired NYPD cold-case detective Ed Norris examined the Jack the Ripper case for a Discovery Channel program called "Jack the Ripper in America". 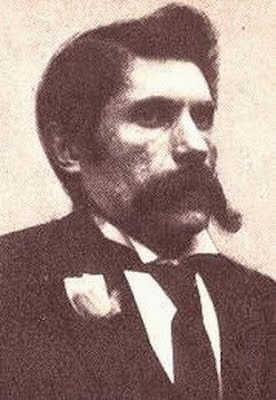 In it, Norris claims that James Kelly was Jack the Ripper, and that he was also responsible for multiple murders in cities around the United States. Norris highlights a few features of the Kelly story to support his contention. He worked as a furniture upholsterer, a job that requires strong handiness with a large knife. His escape from Broadmoor before the first of the five canonical murders and eventual escape to America after the last meant Kelly was in or around London at the right time. He also claimed to have resided in the United States and left behind a journal that spoke of his strong disapproval of the immorality of prostitutes and of his having been on the "warpath" during his time as a fugitive. Norris further argues Kelly was in New York at the time of a Ripper-like murder of a prostitute named Carrie Brown as well as in a number of cities while each experienced, according to Norris, one or two brutal murders of prostitutes while Kelly was there. 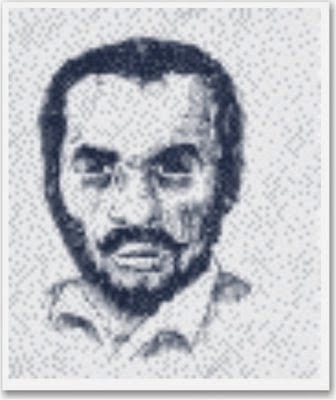 Norris reported Kelly's Broadmoor Asylum file from before his escape and his eventual return has never been opened since 1927 until Norris was given special permission for access to it, and that the file is the perfect profile match for Jack the Ripper. James Maybrick (24 October 1838 – 11 May 1889) was a Liverpool cotton merchant. His wife Florence was convicted of poisoning him with arsenic in a sensational, and possibly unjust, trial presided over by Sir James Fitzjames Stephen, the father of another modern suspect James Kenneth Stephen. 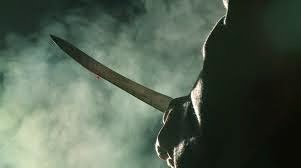 In her book, Jack the Ripper: The American Connection author Shirley Harrison asserted James Maybrick was both Jack the Ripper and the Servant Girl Annihilator of Austin, Texas. A diary purportedly by Maybrick, published in the 1990's by Michael Barrett, contains a confession to the Ripper murders. In 1995, Barrett confessed to writing the diary himself, and described the process of counterfeiting the diary in detail. He swore under oath that he and his wife, Anne, had forged it. Anne Barrett, after their divorce, later denied forgery, and their story changed several times over the years. The diary was discredited by historians who pointed to factual errors in relation to some of the crimes, and document experts pronounced the diary a fake; the handwriting does not match that of Maybrick's will, and the ink contains a preservative not marketed until 1974. Alexander Pedachenko (alleged dates 1857–1908) was named in the 1923 memoirs of William Le Queux, Things I Know about Kings, Celebrities and Crooks. 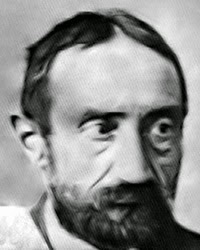 Le Queux claimed to have seen a manuscript in French written by Rasputin stating that Jack the Ripper was an insane Russian doctor named Alexander Pedachenko, an agent of the Okhrana (the Secret Police of Imperial Russia), whose aim in committing the murders was to discredit Scotland Yard. He was supposedly assisted by two accomplices: "Levitski" and a tailoress called Winberg. However, there is no hard evidence that Pedachenko ever existed, and many parts of the story as recounted by Le Queux fall apart when examined closely. For example, one of the sources named in the manuscript was a London-based Russian journalist called Nideroest, who was known for inventing sensational stories. Reviewers of Le Queux's book were aware of Nideroest's background, and unabashedly referred to him as an "unscrupulous liar". Pedachenko was promoted as a suspect by Donald McCormick, who may have developed the story by adding his own inventions. 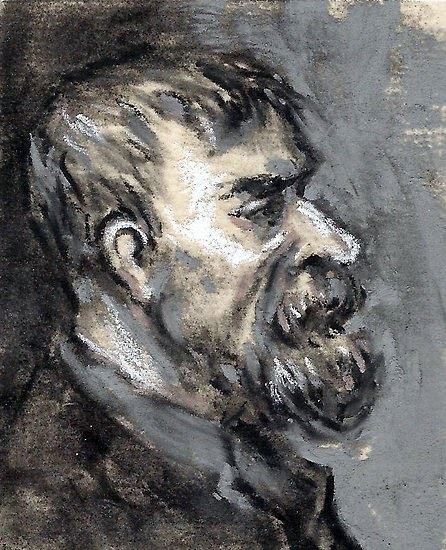 Walter Richard Sickert (31 May 1860 – 22 January 1942) was a German-born artist of British and Danish ancestry, who was first mentioned as a possible Ripper suspect in Donald McCormick's 1959 book The Identity of Jack the Ripper. He had a fascination with the Ripper murders, going so far as to stay in a room that was rumoured to have once had Jack the Ripper himself as a lodger, and depicted similar scenes in many of his paintings. 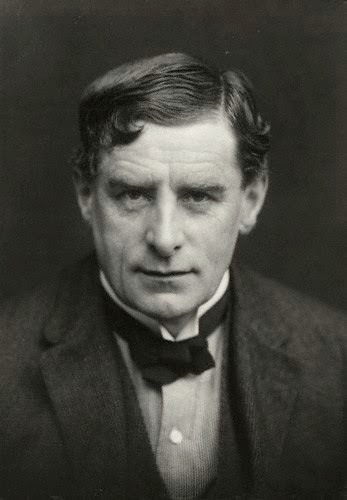 Sickert subsequently appeared as a character in the well-known royal/masonic conspiracy theory concocted by Joseph Gorman, who claimed to be Sickert's illegitimate son. The theory was later developed by author Jean Overton Fuller, and by crime novelist Patricia Cornwell in her book Portrait of a Killer. However, Sickert is not considered a serious suspect by most who study the case, and strong evidence shows he was in France at the time of most of the Ripper murders. In 2007 South African historian Charles van Onselen claimed, in the book The Fox and the Flies: The World of Joseph Silver, Racketeer and Psychopath, that Joseph Silver, also known as Joseph Lis, a Polish Jew, was Jack the Ripper. Critics note, among other things, that van Onselen provides no evidence that Silver was ever in London during the time of the murders, and that the accusation is based entirely upon speculation. Van Onselen has responded by saying that the number of circumstances involved should make Silver a suspect. 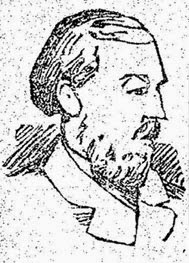 James Kenneth Stephen (25 February 1859 – 3 February 1892) was first suggested as a suspect in a 1972 biography of another Ripper suspect, Prince Albert Victor, Duke of Clarence and Avondale by Michael Harrison. Harrison dismissed the idea that Albert Victor was the Ripper but instead suggested that Stephen, a poet and one of Albert Victor's tutors from Trinity College, Cambridge, was a more likely suspect. Harrison's suggestion was based on Stephen's misogynistic writings and on similarities between his handwriting and that of the "From Hell" letter, supposedly written by the Ripper. Harrison supposed that Stephen may have had sexual feelings for Albert Victor, and that Stephen's hatred of women arose from jealousy because Albert Victor preferred female company and did not reciprocate Stephen's feelings. However, Harrison's analysis was rebutted by professional document examiners. There is no proof that Stephen was ever in love with Albert Victor, although he did starve himself to death very shortly after hearing of Albert Victor's death. 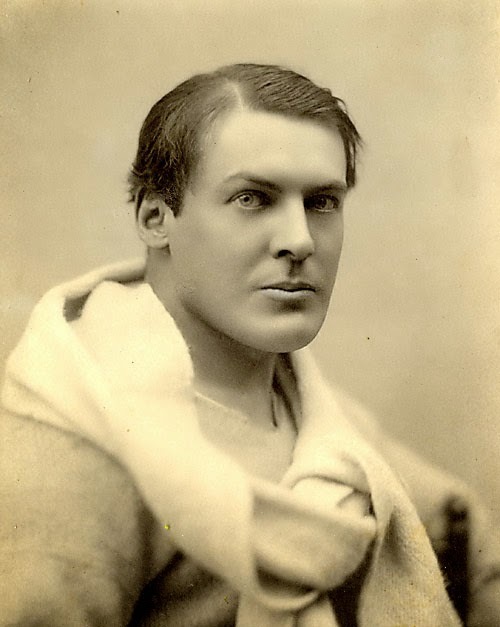 In 1978, Frank Spiering further developed the theory in his book Prince Jack, which depicted Albert Victor as the murderer and Stephen as his lover. The book is widely dismissed as a sensational fiction based on previous theories rather than genuine historical research. Spiering claimed to have discovered a copy of some private notes written by another suspect, Sir William Gull, in the library of the New York Academy of Medicine and that the notes included a confession by Albert Victor under a state of hypnosis. 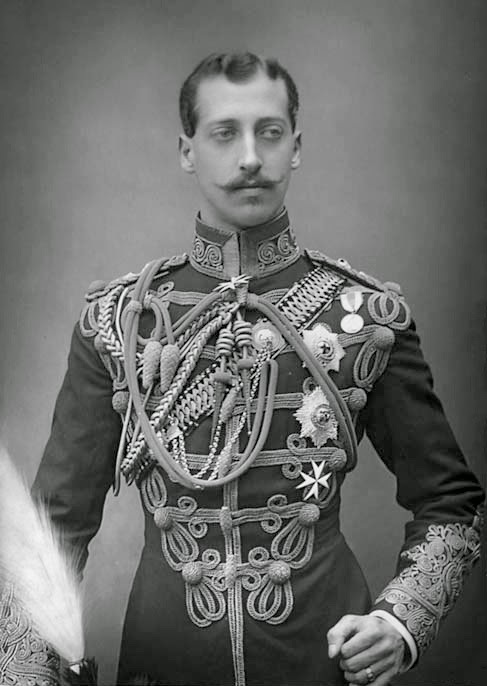 Spiering further suggested that Albert Victor died due to an overdose of morphine, administered to him on the order of Prime Minister Lord Salisbury and possibly Albert Victor's own father, Edward VII of the United Kingdom. The New York Academy of Medicine denies possessing the records Spiering mentioned, and when Spiering was offered access to the Royal Archives, he retorted: "I don't want to see any files." Francis Thompson (18 December 1859 – 13 November 1907) was an ascetic and influenced the young J. R. R. Tolkien, who purchased the Works of Francis Thompson in 1913–14. Perceived as a devout Catholic, in 1889 Thompson wrote the short story "Finis Coronat Opus" (Latin: "The End Crowns the Work"). It features a young poet sacrificing women to pagan gods, seeking hell's inspiration for his poetry in order to gain the fame he desires. Thompson is alternatively seen as a religious fanatic or a madman committing the actions described in his story. In 1877 Thompson failed the priesthood and in the Autumn 1878 he entered his name on the Manchester Royal Infirmary register. The infirmary, in which he studied for the next six years as a surgeon, required that its students have a strong physique for the gruelling workload. The study of anatomy, with dissection classes, was a major part of study from the first term. Between 1885 and 1888 Thompson spent the majority of his time homeless, living in the Docks area south of Whitechapel. Thompson tried a number of occupations. As well as a surgeon and a priest, Thompson tried being a soldier, but was dismissed for failing in drill. He also worked in a medical factory. 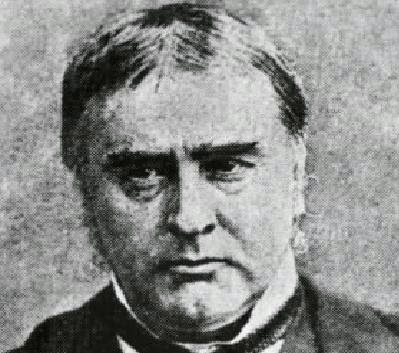 This may have been where, apart from his years as a surgeon, Thompson procured the dissecting scalpel which he claimed to have possessed when he wrote to the editor of the ‘Merry England’ in January 1889 of his need to swap to a razor for shaving. Prince Albert Victor, Duke of Clarence and Avondale (8 January 1864 – 14 January 1892) was first mentioned in print as a potential suspect in 1962 when author Philippe Jullian published a biography of Clarence's father, Edward VII of the United Kingdom. Jullian made a passing reference to rumours that Clarence might have been responsible for the murders. Though Jullian did not detail the dates or sources of the rumour, it is possible that the rumour derived indirectly from Dr. Thomas E. A. Stowell. In 1960, Stowell told the rumour to writer Colin Wilson, who in turn told Harold Nicolson, a biographer loosely credited as a source of "hitherto unpublished anecdotes" in Jullian's book. Nicolson could have communicated Stowell's theory to Jullian. The theory was brought to major public attention in 1970 when Stowell published an article in The Criminologist which revealed his suspicion that Clarence had committed the murders after being driven mad by syphilis. The suggestion was widely dismissed, as Albert Victor had strong alibis for the murders, and it is unlikely that he suffered from syphilis. 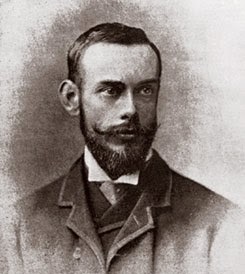 Stowell later denied implying that Clarence was the Ripper but efforts to investigate his claims further were hampered, as Stowell was an old man, and he died from natural causes just days after the publication of his article. The same week, Stowell's son reported that he had burned his father's papers, saying "I read just sufficient to make certain that there was nothing of importance. Subsequently, conspiracy theorists, such as Stephen Knight in Jack the Ripper: The Final Solution, have elaborated on the supposed involvement of Clarence in the murders. Rather than implicate Albert Victor directly, they claim that he secretly married and had a daughter with a Catholic shop assistant, and that Queen Victoria, British Prime Minister Lord Salisbury, his Freemason friends, and the London Metropolitan Police conspired to murder anyone aware of Albert Victor's supposed child. Many facts contradict this theory and its originator, Joseph Gorman (also known as Joseph Sickert), later retracted the story and admitted to the press that it was a hoax. Variations of the theory involve the physician Sir William Gull, the artist Walter Sickert, and the poet James Kenneth Stephen to greater or lesser degrees, and have been fictionalised in novels and films, such as Murder by Decree and From Hell. Sir John Williams was obstetrician to Queen Victoria's daughter Princess Beatrice, and was accused of the Ripper crimes in a 2005 book, Uncle Jack, written by one of the surgeon's descendants, Tony Williams, and Humphrey Price. The authors claim that the victims knew the doctor personally, that they were killed and mutilated in an attempt to research the causes of infertility, and that a badly blunted surgical knife, which belonged to Williams, was the murder weapon. Jennifer Pegg demonstrated in two articles that much of the research in the book was flawed; for example, the version of the notebook entry used to argue that Williams had met Ripper victim Mary Ann Nichols had been altered for print and did not match the original document, and the line as found in the original document was in handwriting that did not match the rest of the notebook. Williams' wife, Lizzie, was named as a possible suspect by author John Morris, who claims that she was unable to have children and, in an unhinged state, took revenge on those who could by killing them. Other named suspects include Swiss butcher Jacob Isenschmid, German hairdresser Charles Ludwig, apothecary and mental patient Oswald Puckridge (1838–1900), insane medical student John Sanders (1862–1901), Swedish tramp Nikaner Benelius, and even social reformer Thomas Barnardo, who claimed he had met one of the victims (Elizabeth Stride) shortly before her murder. Isenschmid and Ludwig were exonerated after another murder was committed while they were in custody. There was no evidence against Barnardo, Benelius, Puckridge or Sanders. According to Donald McCormick, other suspects included mountebank L. Forbes Winslow, whose own suspect in the case was a religious maniac, G. Wentworth Bell Smith. Most recently, morgue assistant Robert Mann was added to the long list of suspects. Named suspects who may be entirely fictional include "Dr Stanley", cult leader Nicolai Vasiliev, Norwegian sailor "Fogelma", and Russian needlewoman Olga Tchkersoff. 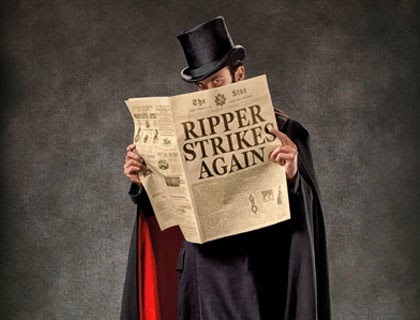 We may never know the the true identity of 'The Ripper' but who do you think the main suspect is? is it even a name that's on this list?